The articles in this Social Business Series are being written for real-life SMB Leaders, who are busy running their business and have not had the time to read everything in the emerging Social-anything space. We have explored the scope of Social Business Software, the Use Cases for Social CRM, Social Lead Generation and Marketing Funnel, and Leadership in Social Business. Let’s now focus on the specifics of Customer Engagement. If you would like to know more about the ideas behind the new “Social Customer”, you can check our The Click Company booklet or Engage, a book by Brian Solis. We have segmented companies in departments dedicated to broadcast to or “influence” customers before the sale and others to listen to or “handle” customer problems after the sale. That segmentation optimizes organizations for efficiency, but does not provide for a seamless and satisfactory experience throughout the customer life-cycle: prospect, buyer, satisfied and loyal customer, brand advocate. In the Social Business era, the Social Customer will demand a better experience. The person representing the company in any customer interaction must be empowered to answer a question, solve a problem, collect feedback and satisfy a need on the spot. This change will stress current business models and require changes in how we engage with prospects and customers. Speak like a Person! Customers can see through the marketing messages and detect the intentions behind them. Communicate as openly and directly as possible. Recognize the true value of relationships. How much is a relationship worth? It is the sum of the transactions, plus the co-creation value (product and marketing insights), plus all the other transaction influenced by the person over the life of the relationship. Don’t think about the size of the deal, but how much value the person brings to the company. You must go where customers are. For business customers, it can be online forums ( if you are lucky, your own online community) but they are starting to use social media sites for business as well. Employ Social tools embedded in your CRM or Customer Service platforms to scale human relationships. Automation is good for back-end processes, not for customer relationship. Own the Engagement. Outsourcing Customer Service? Considering an “indirect channel strategy”? Thinking of your resellers as the real customers because they are the ones buying from you? Having other entities interact on your behalf is fine, but you need to own the engagement with customers, or your competitor will. Turn Marketing into a Resonance Chamber. 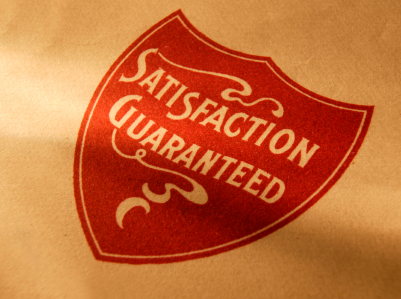 We already know that the best way to convince a prospect is to have the endorsement of a happy customer. Connect your happy customers with your prospects, be in the conversation and resonate/amplify it. That is the new role of marketing. If you find this article useful, you can subscribe to the RSS feed for this blog and leave comments suggesting other topics. Consumer Social Media: What business should do about Twitter and Facebook? Next Next post: So, what is “Meritage”?